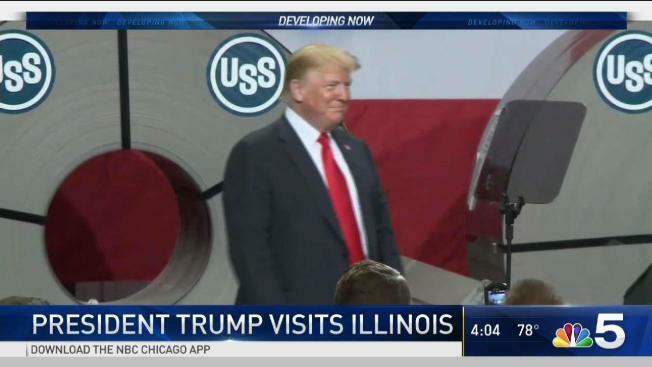 President Donald Trump traveled to downstate Granite City for his first trip to the state of Illinois since he was elected. NBC 5's Mary Ann Ahern has all the details about the president's speech. 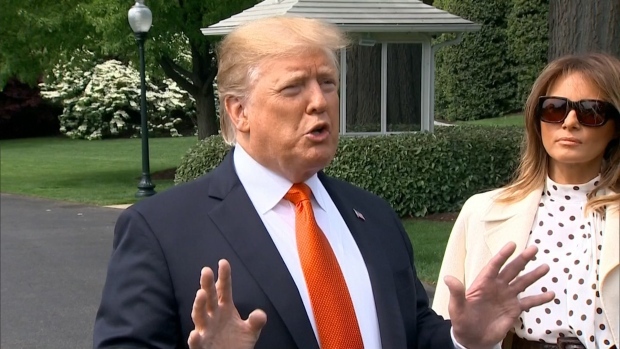 But Trump said he stepped forward to protect the U.S. steel industry with tariffs of 25 percent on imports for national security concerns and in solidarity with workers who had been hurt by what he called unfair trade agreements. In the past, Trump said Thursday, "Our steel towns became ghost towns," but after the U.S. engaged in "the worst trade deals ever made in history" under previous administration, he was now negotiating better terms. Trump brought to the stage the company's CEO and workers, who spoke of the importance of the plant to their community. "We just opened up Europe for you farmers. You're not going to be too angry with Trump, I can tell you," the president said at the workforce development event in Peosta, Iowa, where he was joined by two Iowa Republicans, Gov. Kim Reynolds and Rep. Rod Blum. Farmers and manufacturers have expressed wariness over the Trump tariffs, warning that they will spur a global trade war and retaliatory tariffs from countries like China, Mexico and Canada that will damage their livelihoods and raise prices on consumers. 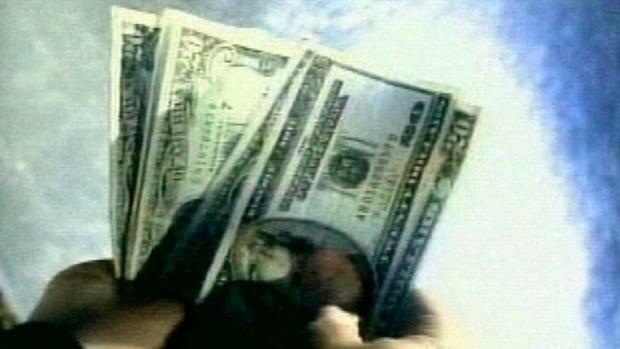 Business leaders and Republicans in Congress have said they could hurt companies reliant on steel and aluminum raw materials in their manufacturing and raise prices for consumers. But Commerce Secretary Wilbur Ross, briefing reporters on Air Force One, said more jobs have been created by the steel and aluminum tariffs than are being lost. He said the tariffs were instrumental in the EU talks. 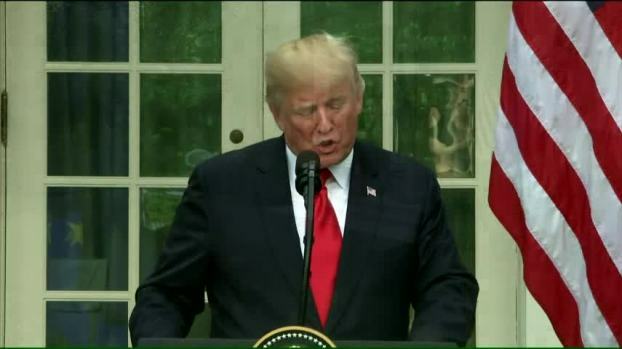 "This is a real vindication that the president's trade policy is starting to work," Ross said. On the outskirts of St. Louis, more than 2,000 workers laid off from Granite City Works were given layoff notices just before Thanksgiving 2015. U.S. Steel cited low oil prices — because the mill produces steel for oil refineries and the auto industry — as well as the availability of cheap, imported steel. Trump said, "After years of shutdowns and cutbacks, today the blast furnace here in Granite City is blazing bright, workers are back on the job and we are once again pouring new American steel into the spine of our country."